All of us at Skyd Magazine are extremely pleased to officially announce our return to Amsterdam for a second year of coverage at Windmill Windup on June 14-16, 2013. 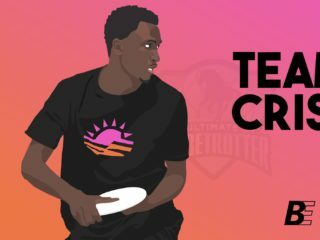 A combination of an elite ultimate tournament and a three-day long festival atmosphere, Windmill Windup is truly a one-of-a-kind ultimate experience, and we at Skyd could not be more excited to get a chance to share it with our readers. 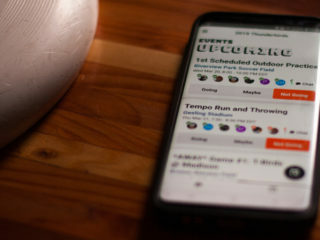 The Skyd team will be on-site to provide daily video and written recaps, photography, and more, including full video and commentary of the finals. Nearly 140 open, mixed, and women’s teams submitted a bid to compete at Windmill Windup, with 80 being selected for the opportunity to play—receiving notification via handwritten letter by Herbie the Elephant, Windmill’s mascot. These 80 teams represent 23 countries, hailing from Europe, Israel, South Africa, the US, and Ethiopia, making Windmill Windup one of Europe’s largest and most diverse tournaments. And with 6 of Europe’s Top 10 open and women’s teams competing, the competition is sure to be of the highest caliber—and highest spirit, if the too-good-to-be-true spirit prizes are any indication. Of course, anyone familiar with the tournament knows the competition is only a part of what makes Windmill Windup special. All three days of Windmill have a festival feel, including an awesome opening ceremony (below), live bands and DJs, charity pull and huck competitions, and of course the famous Mingle Mingle. Throw in some excellent food and beer, and the Windmill Windup entertainment is almost enough to make you forget there’s an ultimate tournament going on—almost. 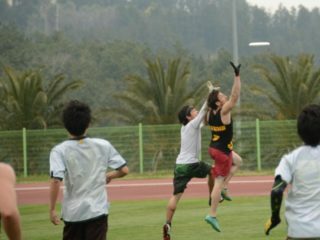 Windmill Windup has also established itself as one of the greenest ultimate tournaments. The tournament’s commitment to sustainability ranges from small initiatives, such as a beer discount if you return your recyclable cup, to larger ones, such as the Carbon Offset Program. As part of this program, teams pay a voluntary “green fee” which is donated to—what else—a clean windmill energy project to help offset the carbon footprint they created traveling to the tournament. 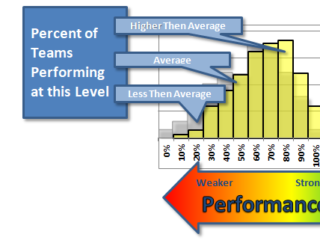 Windmill also boasts a pre-event training camp partnership with RISE UP Ultimate. 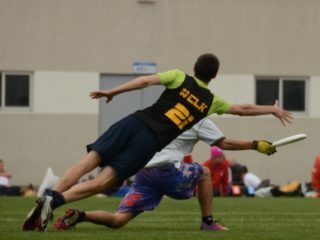 RISE UP Amsterdam promises a professional 3-day ultimate camp/conference and 1-day filming of a RISE UP season with coaches like Ben Wiggins and Mario O’Brien. Year after year Windmill Windup proves to be one of the most unique, fun, and innovative tournaments worldwide, and Skyd is proud to once again share it with you. For those interested, there is still time to sign up to be a part of Windmill’s over 100 strong volunteer corps, and be sure to check out the tournament’s website, as well as our video recap of last year’s experience. All photos courtesy Yves Neorg.